As part of the service we offer, our technical amenity and sports staff are able to provide contract spraying services and traditional mechanical contracting. The companies we work with use fully qualified trained personnel and have full insurance cover. They will follow exactly the recommendations or programmes set out by our qualified technical sales representatives. 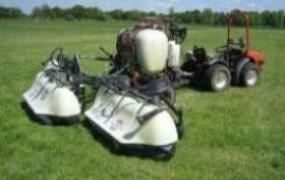 We provide contract pesticide spraying and fertilizer application to golf clubs, sports fields, schools and private estates within our trading area. 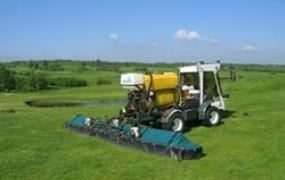 We only supply and apply specialist amenity products which are fully approved for amenity use. Our BASIS qualified agronomists are available to visit your site and provide bespoke technical recommendations to suit your requirements. Our contract spray operators are members of NROSO (National Register of Spray Operators) and are highly experienced and fully trained to the highest industry standards. 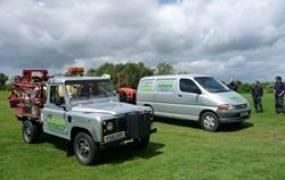 Using Landrovers or specialist covered boom technology for the larger areas and quad bikes and knapsack application to smaller areas, we can offer the full contracting service. 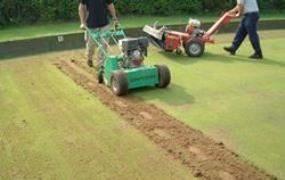 Collier Turf Care offer mainly in Norfolk and Suffolk a comprehensive contract service covering all maintenance and renovation work. 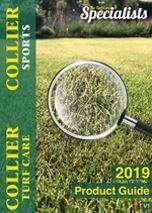 These services are provided subject to the report of your Collier Turf Care technical representative by fully qualified and insured local contractors. Where we do not have an existing contractor we are able to put you in contact with other professional contractors who will be able provide you with a quotation for any work required.